During winter, the slopes start calling. Whether you’re an avid skier with years of experience under your belt or you’ve never so much as slipped on a pair of skis, Whistler, BC, offers the perfect place to get your fix. Even when you’re not sliding down the slopes, you’ll find plenty of activities to keep you busy in this city. Several outfitters in the Whistler, BC, area can supply you with skis, masks, gloves, parkas, and anything else you need to enjoy your ski vacation. Even if you already own skis and other ski equipment, you might want to test new models to see how they perform. The experts who run outfitter businesses can also help you choose equipment if you’ve never skied before. You’ll want to get the best safety equipment possible as well as skis that suit your experience level. You might even get some free advice about the best trails for different types of experiences. The skiing season lasts from November until May, so you can plan your visit anytime in between. Once you arrive, you’ll want to scope out the slopes so you know exactly how you want your itinerary to play out. Beginners should stick to the easiest trails so they don’t accidentally injure themselves, while intermediate and advanced skiers might want to challenge themselves on more aggressive mountains. Start in Whistler Village, a quaint resort centre that doesn’t allow cars. You can stroll through the entire square and get acquainted with everything the resort can offer. Plus, you’ll learn where the best ski heads are located so you can get a good start the next morning. There are more than 200 marked trails in the Whistler and Blackcomb area. 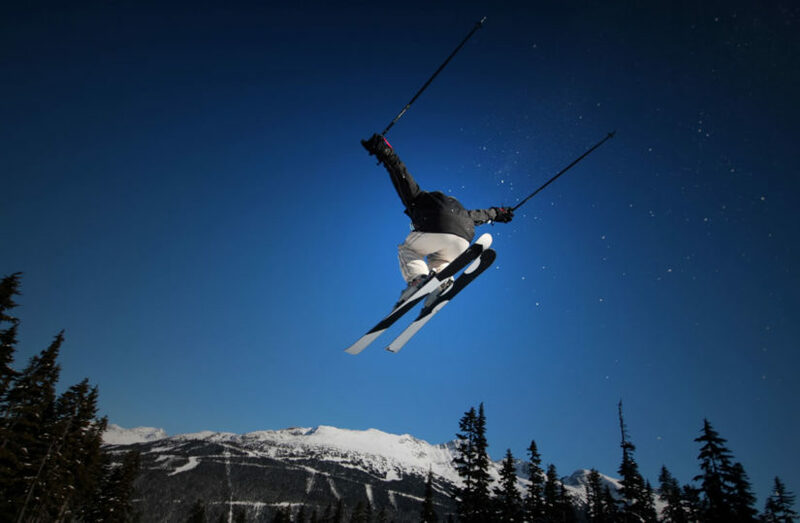 You can buy lift tickets online, so you don’t have to waste time once you arrive, and you can take skiing and snowboarding lessons if you want an introduction to either sport. If you’re interested in comfort food after a long day on the slopes, enjoy a meal at 21 Steps Kitchen + Bar. It’s a quiet, reserved eatery that serves everything you could want, from burgers and fries to salads and steaks. While it’s not the cheapest restaurant in Whistler, it won’t hit your wallet as hard as some of the fancier bistros in the area. For a classier experience on date night, try Araxi Restaurant & Oyster Bar. It’s a little expensive, but this iconic Whistler restaurant serves delicious cocktails, unparalleled seafood, and decadent Italian dishes in a stylish atmosphere. Save room for dessert, and don’t forget to reserve your table in advance, because this place fills up quickly. You can always find a curio or two at Cool As a Moose, a t-shirt and souvenir shop with plenty of colorful items. Take your time exploring the store’s wares, and remember to pick up a little something for everyone back home. Whistler Smile Gift offers another attractive shopping option. It’s a bit smaller than Cool as a Moose, but this store sells unique items at affordable prices. Unfortunately, accidents sometimes happen on the slopes. If you suffer an oral injury, find a dentist in Whistler immediately. Quick treatment can help shorten your recovery time and reduce any ancillary damage that might occur to your teeth, gums, or jaw. When looking for a dentist in Whistler, choose a practice that has been open for many years and has developed a solid reputation among locals. Whistler Dental offers an attractive choice, especially since it has convenient Saturday hours. Skiing consumes lots of energy, so you’ll want a cozy resort hotel where you can kick back with a book or television show after you’ve burned copious amounts of calories. Some of the highest rated hotels in Whistler include the Coast Blackcomb Suites, the Hilton Whistler Resort & Spa, and the Westin Resort & Spa, Whistler. Each hotel offers excellent amenities, from in-room refrigerators and microwaves to spacious suites and premium cable. Whistler offers many opportunities to look after yourself. Get a massage, take a soak in your hotel’s hot tub, or dine in one of Whistler’s many health-conscious restaurants. If you’re travelling with someone special, consider booking a day at a local spa for couples’ treatments. You’ll enjoy the intimacy as well as the benefits for your nails, skin, and hair. You might also take a yoga or Pilates class at a local studio or stroll through local art galleries to appease your love of culture. This city offers everything you could want in a ski trip — even when you’re not skiing. Spending a few days — or even a few weeks — in Whistler will convince you that it’s one of the most beautiful towns in North America. Take your time to get to know this resort city, then start planning your return.